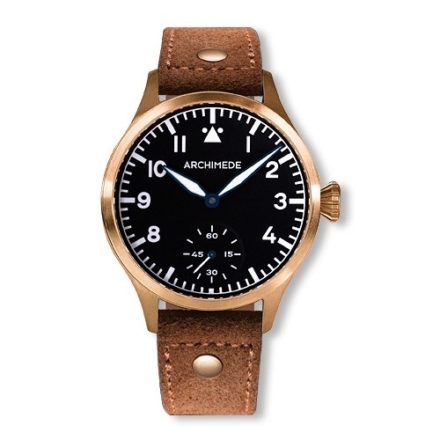 Athough not one of the five original brands that manufactured WWII Fliegers, German brand Archimede has taken up a strong position today as a value-driven producer of this classic design. 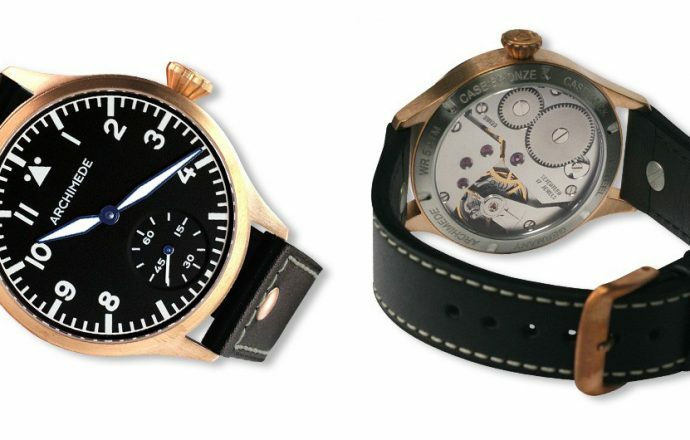 Over the years, the firm has offered pilot watches in a variety of case materials and sizes, movements, and dials that build on the historical iconic. Archimede has recently added a new series to the Pilot collection—the Pilot 42 KS. First, some specs. As the name implies, the Pilot 42 KS (“kleine sekunde,” or small seconds) is a 42mm diameter pilot watch with a sub-seconds register at six o’clock. It’s a hand-cranker powered by the ever-reliable Unitas/ETA 6498, a large pocket watch caliber dating back to the 1950s. The Ickler-made case measures 9.9mm thick with a lug-to-lug height of 51mm, so it’s wearable on a range of wrists and a good amount smaller than the long-available 45mm version. At three is a prominent diamond crown signed with the Archimede “A,” and the watch is water resistant to 5 ATM. The dial is appropriately simple and easy to read, with the sub-dial at six balancing the logo below 12. Finally, sitting atop the dial is a domed sapphire crystal with internal AR, adding to the overall legibility of the watch. The Pilot 42 KS comes in a traditional stainless steel case with a brushed finish. Featuring a more classic aesthetic, the Pilot 42 KS makes for a great everyday watch that can be paired with anything from your office duds to your weekend casuals. If you’re looking for a solid, no-frills pilot watch with an excellent build and a reliable manual movement, you can’t go wrong with the Pilot 42 KS. The Pilot 42 KS is priced at €571.43 (excluding VAT), or $628 as of this writing. The Pilot 42 KS Bronze takes the above winning formula and places it inside a CuSn8 bronze case. For those unaware, bronze cases are prized for their ability to patinate over time, with the alloy taking on a rugged, industrial look as it oxidizes and darkens. Though a seemingly peculiar choice for a pilot watch, the warm tones of the bronze are surprisingly versatile (read our review of the Archimede Pilot 42H Bronze) and will make for easy pairing this fall (or frankly, any season after). The Pilot 42 KS Bronze is priced at €773.11 (excluding VAT), or $850 as of this writing. 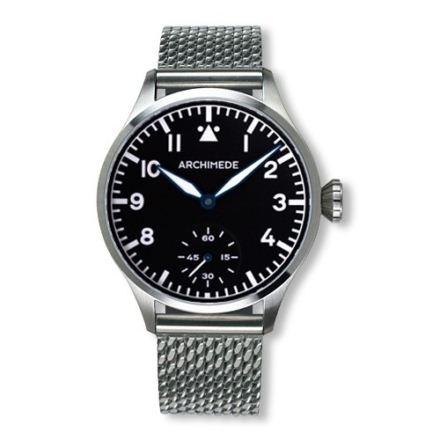 Archimede also offers several ways to customize your watch for a small surcharge, and options include a solid case back, a custom engraving, and a variety of different strap options that include leather and a steel milanese bracelet.